Built in 2012, Oceano apartments is a 244 unit, 5.8 acre community located in Woodland Hills, California, featuring outstanding architecture and design as well as a host of the most modern and cutting edge amenities. The goal of the development was to provide residents with a unique, sustainable environment and a neighborhood feel. Water and energy conserving technologies and practices were incorporated into the site to reduce the community’s overall carbon footprint. This included an UrbanGreen Rainwater Harvesting System from Contech Engineered Solutions. The 3.57 acre site was challenging because it consisted of 85% impervious surface and included 48,778 square feet of landscaping. Engineers at KHR originally looked at retention as a way to control stormwater, but upon further review, rainwater harvesting was chosen as it provided the runoff reduction required by the Community of Woodland Hills in the City of Los Angeles. A Contech CDS hydrodynamic separator was used to pretreat runoff collected from the roofs, surface parking and associated drive aisle, keeping organic material and other debris from damaging or clogging the system and to reduce maintenance costs. The treated water then flows to a 188,000 gallon cistern made from 500’ of 96” diameter DuroMaxx Steel Reinforced Polyethylene. DuroMaxx is an ideal choice for rainwater harvesting cisterns as it is strong, lightweight, and can be made in diameters of up to 120”. 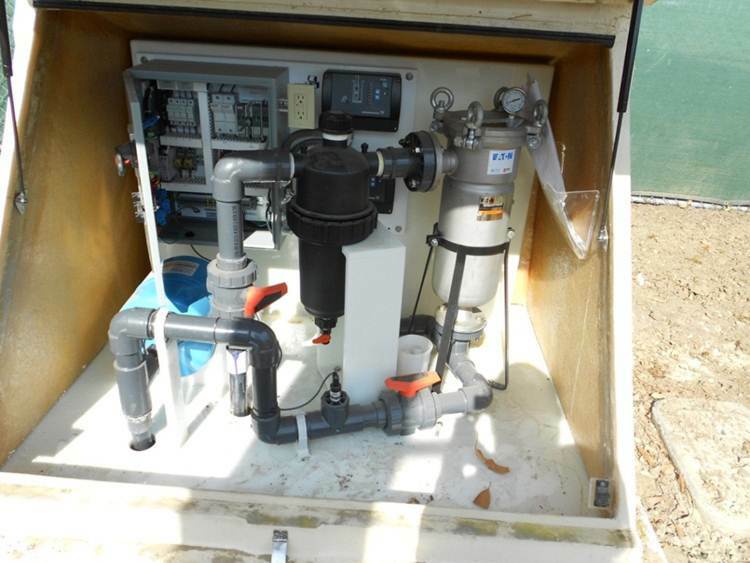 Contech provided all of the pumps and controls, providing a turn-key system from a single provider. Contech also provided KHR complete sizing, engineering, and installation support. The stormwater management design also called for two additional CDS units to treat stormwater downstream, treating runoff from roadways not collected in the cistern. The CDS system uses continuous deflective separation to effectively screen separates and trap debris, sediment and oil from stormwater runoff. Oceano Warner Center was honored as the Best New Construction in Los Angeles by the California Apartment Association and is LEED Silver Certified.